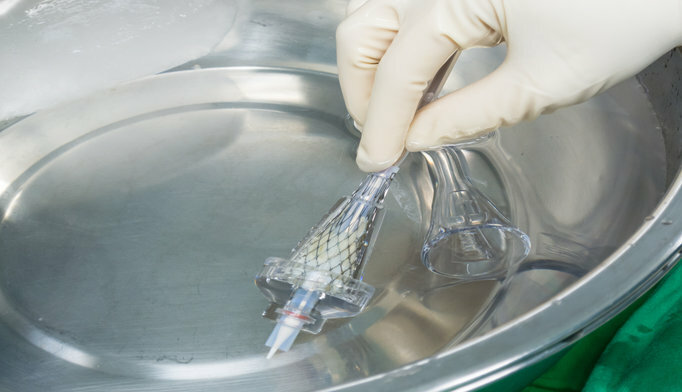 Researchers compared patients undergoing transcatheter aortic valve implantation with balloon-expandable valves vs self-expandable valves with regard to 30-day mortality and stroke. Patients with severe aortic valve stenosis who undergo transfemoral transcatheter aortic valve implantation (TAVI) with balloon-expandable (BE) valves experience a lower chance for stroke and pacemaker implantation than patients who receive transfemoral TAVI with self-expandable (SE) valves. However, greater risks for major or life-threatening bleeding is found with new-generation BE valves vs new-generation SE valves. These new study findings were published in the European Heart Journal. 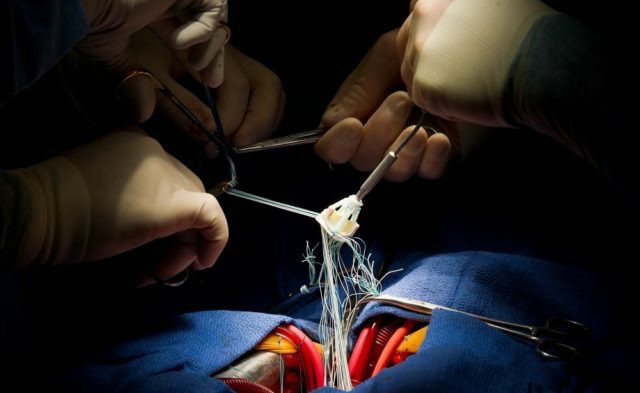 An international team of investigators pooled data from 10 study registries and clinical trials, all of which included patients with severe aortic valve stenosis who underwent transfemoral TAVI. For the purposes of their analysis, the researchers compared patients undergoing TAVI with BE valves vs SE valves as it related to 30-day mortality and stroke. Additional endpoints included various clinical outcomes, such as bleeding during hospital admission, in-hospital mortality, stroke, and myocardial infarction. Comparisons for these endpoints were made for early-generation BE valves vs early-generation SE valves, as well as new-generation BE valves vs new-generation SE valves. A total of 12,381 patients who underwent TAVI were included in the analysis. The investigators subsequently categorized patients according to whether they received BE valves (n=6239) or SE valves (n=6142). With regard to the 30-day mortality rate, no significant difference was observed between the BE valve and SE valve cohorts (5.3% vs 6.2%, respectively; relative risk [RR], 0.9; 95% CI, 0.7-1.0; P =.10). Conversely, the incidence for stroke was lower in patients who underwent TAVI with BE valves vs SE valves (1.9% vs 2.6%, respectively; RR, 0.7; 95% CI, 0.5-1.0; P =.03). Patients who received BE valves during TAVI had a significantly lower chance for undergoing pacemaker implantation compared with those who received SE valves (7.8% vs 20.3%, respectively; RR 0.4; 95% CI, 0.3-0.4; P <.001). In addition, the researchers found that new-generation BE valves were associated with greater major and life-threatening bleedings vs new-generation SE valves (4.8% vs 2.1%, respectively; RR, 2.3; 95% CI, 1.6-3.3; P <.001). The studies included in this analysis were not randomly selected, which may have resulted in selection bias. “We hypothesize that the working mechanism of the implantation of SE valves may generate the higher observed procedural stroke rate,” the researchers explained.